Another adage for this week — “all good things must come to an end.” This is the last of the ebaums world creepy medical tour prompts, so of course it would have to be something perfectly creepy! No worries — there will be more interesting photos beginning next week! 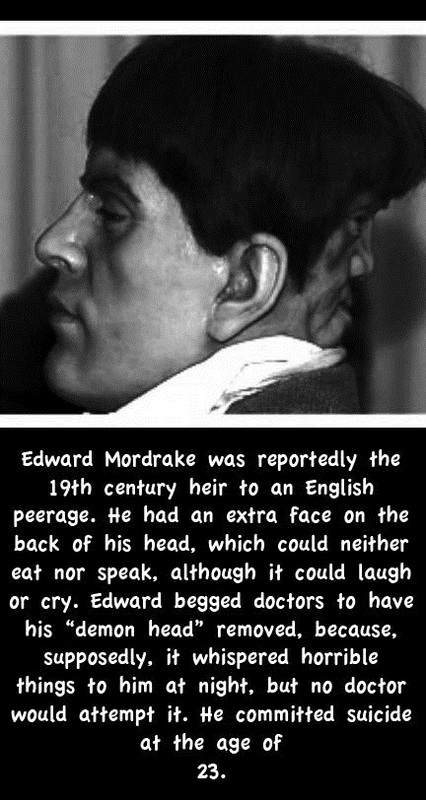 If you are a fan of American Horror Story – Freak Show, there was an episode about Mordrake. His name has been invoked in various films and stories. Now it’s your turn to give him one.